Which reminds me, I need to see an ophthalmologist – I have terrible taste in women. Holy Hovering Hamhocks Batman! A new site! Also a new comic this (and every) Friday! 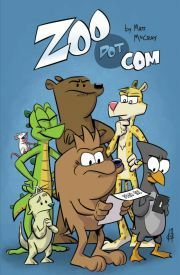 You may also want to follow @zoodotcom, as I’ll post comic updates and previews there. Oh yes, that which is long overdue is actually, finally, going to happen. No, not hoverboards. No, not an actually good Star Wars movie (well, maybe that one)… Just, stop guessing, I’ll tell you! New Comics! 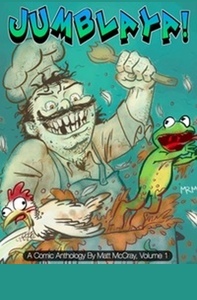 That’s what’s finally going to happen! So check back the first week in June (yes, this June) for more ZooDotCom strips! You’ll be glad you did! I guarantee* it! © 2015 Matt McCray, all rights reserved. 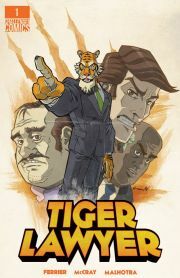 No animals were harmed in the making of this comic strip. Well, OK. Not harmed much anyway. To be completely honest, I'm really more worried about the second one right now. Have updates sent directly to your inbox! This service is provided by FeedBurner, so you don’t have to worry; I won’t be sharing your email address.